Democratic presidential candidate Hillary Clinton thinks everyone should shut up and stop second-guessing her (and her husband’s) voracious appetite for money. Clinton, who charges up to $200,000 to give one-hour speeches to Goldman Sachs executives and others, claims that she and Bill were "dead broke" and in debt following their eight years in the White House, and "struggled" to pay the mortgages on their multiple mansions and finance their daughter Chelsea’s education at Stanford, Oxford, Columbia, and Oxford (again). Most commoners would agree that Clinton has rather unconventional definitions of the words "broke" and "struggling." First of all, it’s true that Clinton’s were facing several million dollars in legal debts toward the end of President Clinton’s second term. However, they only "struggled" in the sense that they were worried their financial situation would prevent them from securing a mortgage for a five-bedroom mansion in Chappaqua, N.Y., from which Hillary could launch a run for Senate. Perhaps most everyday Americans can identify with this struggle, perhaps not. Hillary Clinton has seen her net worth skyrocket since stepping down as Secretary of State. 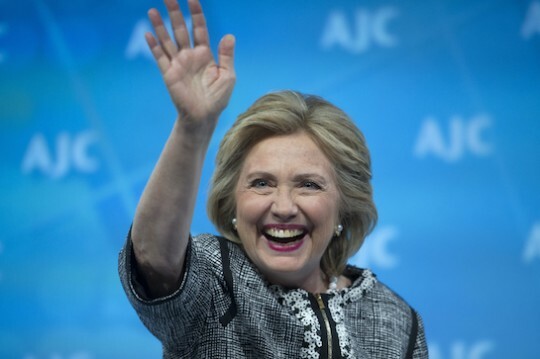 TIME Magazine reports that she left the State Department with at least $5 million in the bank, and has since raked in $5 million (and counting) worth of speaking fees, and millions more from her book, Hard Choices, for which she reportedly received a $14 million advance. That’s not even counting the more than $100 million Bill Clinton has earned in speaking fees since leaving office, or the taxpayer-funded pension he continues receive, worth an estimated $7 million. When Harry Truman left the White House in 1953, historian David McCullough records, "he had no income or support of any kind from the federal government other than his Army pension of $112.56 a month. He was provided with no government funds for secretarial help or office space, not a penny of expense money." One of the reasons Truman and his wife moved back into their far-from-elegant old house in Independence, Missouri, "was that financially they had little other choice." Nevertheless, Truman refused to cash in on his celebrity and influence as a former president. He turned down lucrative offers, such as the one from a Florida real-estate developer inviting him to become "chairman, officer, or stockholder, at a figure of not less than $100,000." He would not make commercial endorsements, accept "consulting" fees, or engage in lobbying. What's so shocking about Clinton's tone deaf defense of her all-consuming desire to get rich is the fact that it was the best her crack campaign team could come up with. This entry was posted in Politics and tagged 2016 Election, Bill Clinton, Democratic Party, Hillary Clinton. Bookmark the permalink.